Hello Friends, It’s Challenge time at STB and this week our Topping option is to use Monochromatic Orange on your card and or project. This is my second attempt as my first one was not blog worthy! YUCK! LOL I also want to give a quick shout out to Susie one of my fellow designers, this is her last challenge with us and I wish her all the luck in the world! She is super talented and oh so sweet and will be missed! She is going to be picking our winners this time over at STB so please come on over and play along and let’s make is super hard on her to pick our winners and fill Mr. Linky to the brim! Now a few details on my card! The Stamp set is Stippled Blossom. The ink is also Stampin Up’s Tangerine Tango. I had the cardstock with the circle cut out laying on my desk and that is what prompted this idea! I thought, why not make that gorgeous flower the focal point. You can’t tell in this photo, but the scalloped circle is raised with pop dots! Super fun design…don’t you think? The sentiment is from Verve’s Take Note. 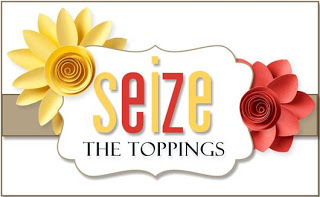 Hope you have a wonderful day and please come on over to Seize the Birthday and see what my teammates did with this challenge and play along! 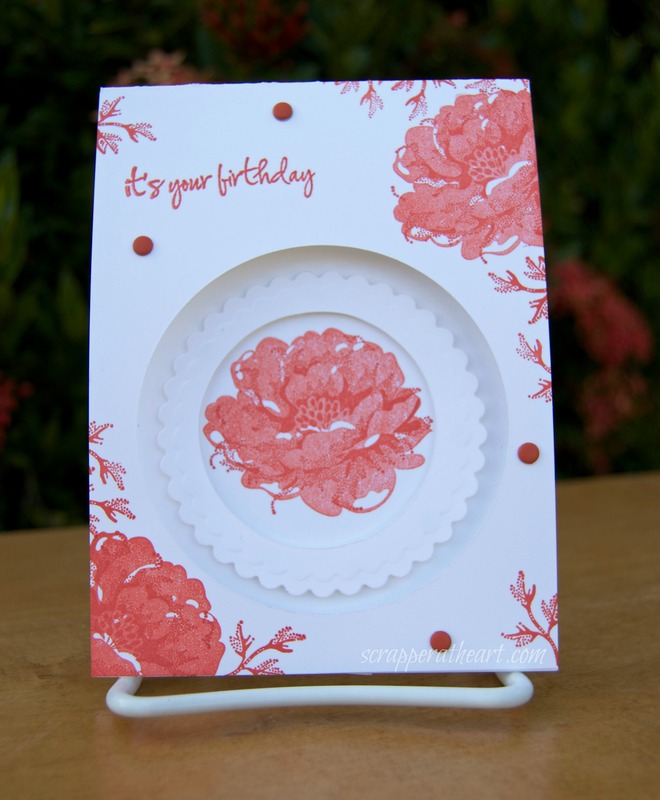 Categories: Cards | Tags: Card making, Cards, color challenge, Happy Birthday, rubber stamps, stamping, Stamping Up, stippled blossom | Permalink. Awww…you are the sweetest Nancy!!! You are truly a joy to work with! Love the bold orange blooms on this card. They remind of the summer…which is so nice to think of during this brisk cold weather! Beautiful card Nancy. I love how you used the cut out circle to spotlight the pretty flower. I like the raised scalloped frame too. Great job my friend. Super beautiful and love the orange and white colors you chose to make your card design in. I love the multi-layered concept of your card, Nancy, and those flowers are gorgeous. LOVE the scalloped popped layer and those GORGEOUS orange flowers! Such a Beautiful card, Nancy! Oooh such beautiful flowers! I love the monochromatic look! !